Stonework, Original Oil on Canvas, 20 x 20, available through OC Designer Source. Available also for licensing through OC Designer Source. 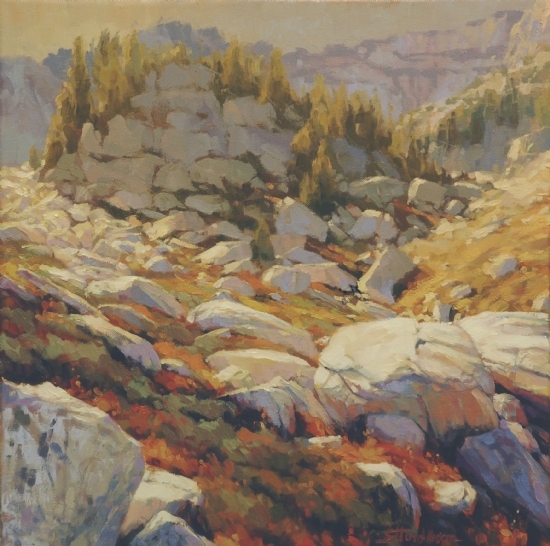 Cascading like water, high altitude granite tumbles toward the viewer in an explosion of white tinged with pink, lavendar, yellow, and coral. Soho Myriad, an art consulting firm that focuses on high-end hotels nationally and internationally, has signed Steve Henderson on to their exclusive cadre of artists. With offices in Atlanta, GA; Los Angeles, CA; and London, United Kingdom, Soho Myriad works on a worldwide project by project basis, selling original works of art for public spaces as well as publishing images for suites, corridors, and guestrooms of various projects. 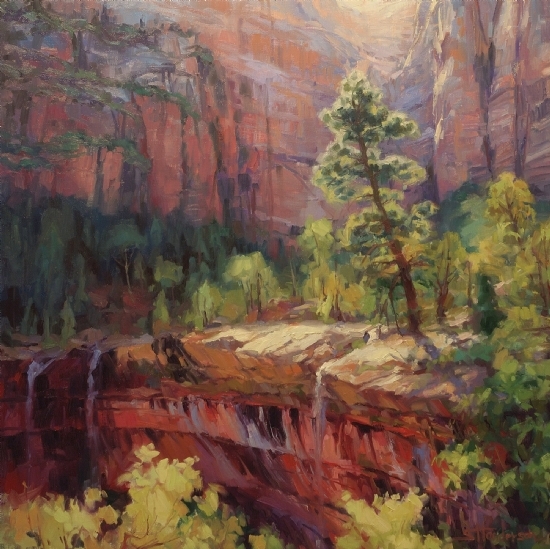 If you are an establishment looking to incorporate fine artwork onto your walls, contact Soho Myriad and inquire about Steve’s portfolio, which includes landscapes, like Last Light in Zion (above), seascapes, still life and figurative work. 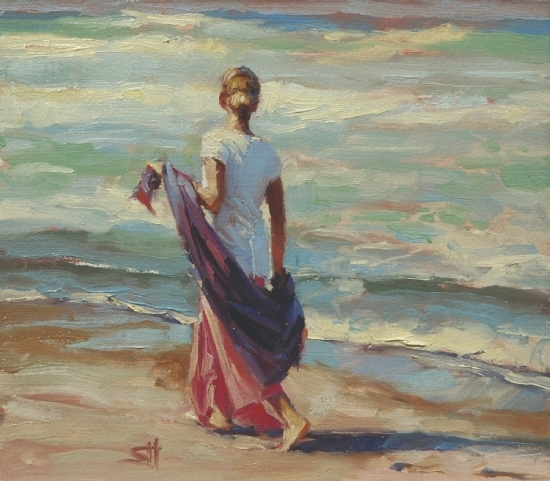 You may also visit Steve Henderson Fine Art to view a selection of his work. Opalescent Sea, an up close and very personal view of the Pacific Ocean waves, has been accepted into the 15th Annual American Society of Marine Artists National Traveling Art Exhibit. From over 450 works, the jury of twenty ASMA Fellows picked 86 paintings and seven three-dimensional pieces, representing the very best work of the ASMA membership. 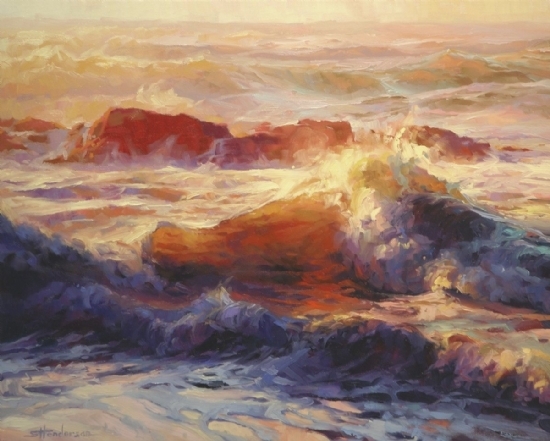 From October 17, 2011 to July 13, 2013, Opalescent Sea will tour 11 fine art museums nationwide, beginning at the Minnesota Marine Art Museum, Winona, MN.